In Real Life tells the story of Anda, a high school girl that loves her video games. Her world changes after a professional gamer named Liza visits her school. Shocked by the fact that so many girls still game online anonymously as males, Liza urges the girls in class to join her guild in popular MMO "Coarsegold" as probationary members. The only catch was that they had to play with girl avatars. While playing the game, Anda learns a lot about morals and ethics. She learns about gold farmers, those who "farm" game items and sell them for real money to online gamers with money to burn. At first Anda partners with a crew member to kill off the gold farmers or "spam" as her partner calls them, as a way to make their own money playing the game. Everything is literally easy money until Anda "cyber meets" gold farmer Raymond. Raymond is a 16-year-old boy from China who plays this game as supplemental income for his family. Developing an online friendship with Raymond teaches Anda many lessons about morality, labor laws, healthcare and how our decisions online can affect our real lives. I was really impressed by this story, as I've never read a graphic novel that tackles how injustices online can affect "real life" quite like this. While reading, we see protagonist Anda mature a lot, even taking a stand for what she believes in (even though she has to be educated on making assumptions about people of different cultures). 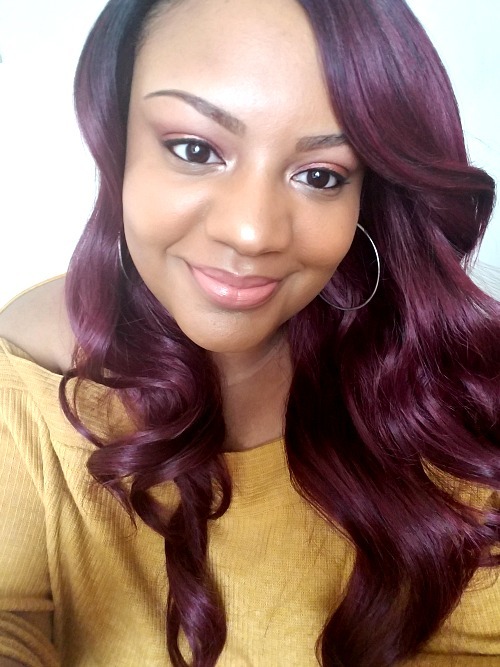 And can I make mention of the fact that she's plus sized and dyes her hair a bright shade of red half-way through the read? Kudos to the author and illustrator for showing us not all heroines look the same! Not only was the story compelling and well-paced, the illustrations were beautiful! I enjoyed the entire read in one sitting and enjoyed every bit of it. The gamer girl geek in me rejoiced each time I turned one of the vibrant-colored pages. I recommend In Real Life to all gamers (young and older) who appreciate graphic novels as well. There are lessons about friendship, morality, bullying, culture differences, and self-esteem that I believe will resonate with many teens and young adults. 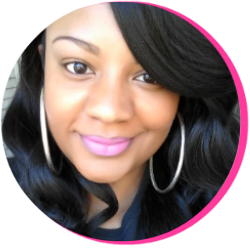 To grab a copy of your own, click here. 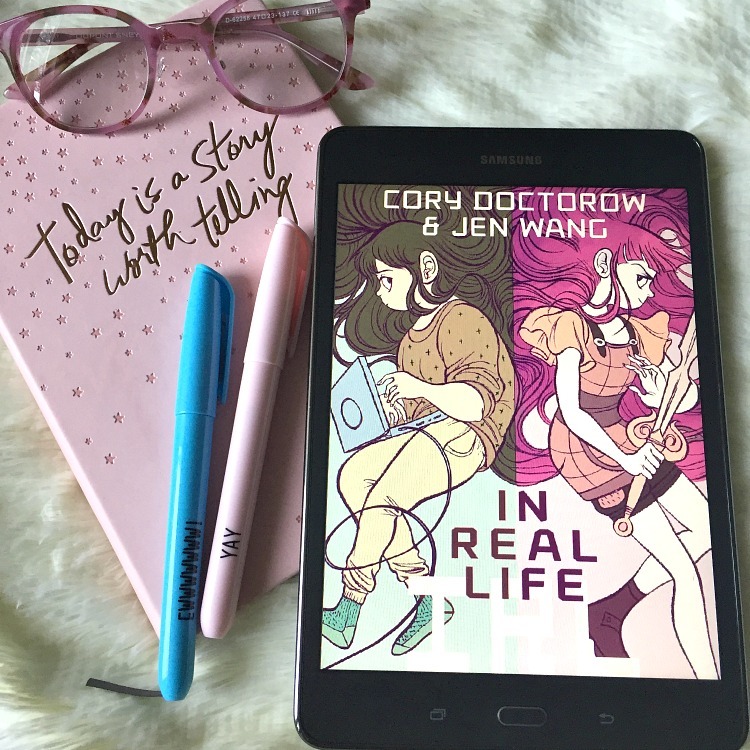 Thank you to First Second Books and Netgalley for an ARC of In Real Life by Cory Doctorow and Jen Wang. Have you read In Real Life? What's the last graphic novel you read?